Milk Bar, formerly under the Momofuku umbrella, is a desserts shop based in New York City that became “a thing” about a decade ago. Under chef Christina Tosi—formerly a judge on FOX’s Masterchef—Milk Bar was really good at utilizing sweets and baked goods to tap into childhood nostalgia. It was likely the first bakery to make a name selling milk steeped in corn flakes, and it’s sold a lot of Compost Cookies, a recipe calling for chocolate and butterscotch chips, ground coffee, potato chips, oats, and pretzels. There are now 16 locations across the country. 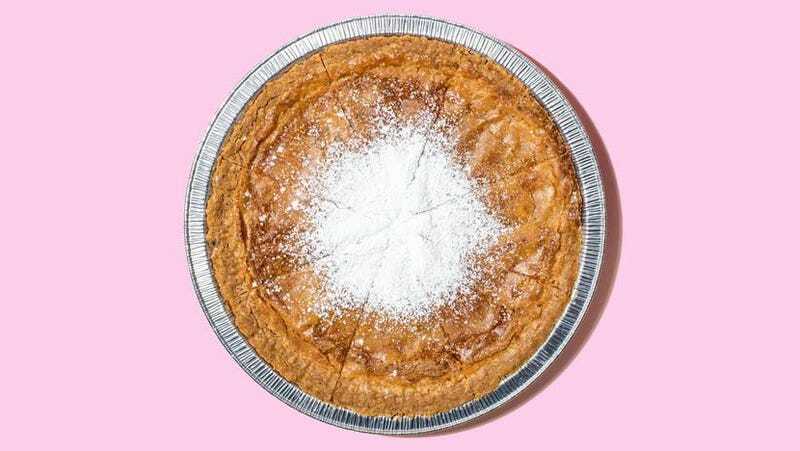 And then there’s its Crack Pie, buttery and decadent with a gooey hodgepodge filling, that’s easily among Milk Bar’s bestsellers. But in the last few years, the word “crack,” used to denote something of an addictive nature, has increasingly been seen as pejorative. The crack epidemic that proliferated in America’s inner cities throughout the 1980s disproportionately affected black communities, and so the term “crack” is also tinged with racial overtones.